Lasander is unremarkable by human standards. Dark eyes and dark hair, with dirt covering almost everything. Although not large, the years of toiling and manual labor have left him strong and lean. Lasander's outlook on life, that everything and everyone has it's purpose, of being able to see things from all sides, makes most that meet him to think of him as dispassionate. He is not known for fits of rage or moments of joyful glee. But, he is a man of his word and has come to be depended on by those that know him. Growing up poor does not leave many options for a child. The expectation is that you will also be poor; just another one of the many dirty faceless peasants dotting the hillside of Rill. This did not sit well with Lasander. He knew he was smarter than everyone he knew, including his parents. This was not conceit, it was simply the truth. He saw the world through calculating eyes; a giant machine of life and death, cause and effect. One of the few pastimes he came to enjoy was studying the various herbs and other plant life that grew around him. He had no one to teach him, but through meticulous study, he began to learn that these plants held the power of life and death. Over time, others noticed what he was doing. Some thought him strange and kept their distance. Others, however amazing, began to acknowledge his skill and even pay him for his services. Over time, selling the odd potion and poultice allowed him to buy something his parents found utterly useless: a book. This particular one was made for wealthy children to teach them to read. To Lasander, it was his most prized possession. Like all things, he meticulously poured over its contents. He turned his newfound skills to taking notes on the potions that he made. Last edited by Silent Rain; 03-24-2019 at 07:05 PM. The Elven culture is less an Asian vibe and more of a classical Nature-loving Elvish vibe. I have zero concerns with you being part of a monastery outside the city, they could have any customs, courtesies, or styles of dress as you see fit. I actually have alot of worldbuilding done with this game, I ran it on a tabletop a year back, I just like to leave alot of empty space to let the players grow, if i put too much in then you get railroaded and cant do things like come from an order of Elvish Monks with an Asian flavor. As for age 45 is still very young for an elf, maybe a bit too young, but if that's the playstyle you want to go for; capable but with childlike innocence than I'd say go for it. I was just referring to this thread. There wasn't any other information available to us, was there? In any case I still am glad I can make those character background details up. Appearance: A tall, athletic woman with sinewy muscles and sharp, owl like eyes that appear to reflect light sources. Her long, tousled hair is of ebony, her flesh of ivory and eyes a icy blue, too wide to be completely normal. These traits are in conjunction to her animalistic tendencies to sniff the air and consistently check her surroundings as she prowls her homeland. Personality: Zandramas possesses the wolf mentality, believing in family devotion, or in this case pack devotion, and has no preconceived beliefs or prejudice toward other races. When she deems someone worthy, she will adopt them and treat them as family, going so far as to risk her life to protect members of her pack in dangerous situations, whether they are humanoid or animal. She is not particularly extroverted however, enjoying time alone to contemplate, relax and explore, like a feline would. It is an itch, a primal need to move, play and be free that the bird side of her demands, making it a traumatic experience for the elf to be contained or restrained in any manner. The flighty, cautious streak is shared by her feline and bird aspect, leading to fast reactionary responses to unexpected stimuli. On the other hand the wolf and feline aspects naturally enjoy hunting, which can lead to a bloodlust and single minded desire to bring down what she hunts with frightening intensity. Zandramas rarely contemplates on Good and Evil, more she goes by what is best for her pack at the time, therefore has no qualms about committing unlawful and downright morally ambiguous actions to achieve this. She is not prone to react aggressively, or ambiguously unless provoked, though understands the need to hunt and destroy monsters that have such evil tendencies so as to keep her pack safe and prevent suffering. Background: Orphaned, with no knowledge of her biological parents, Zandramas lived a childhood surrounded by similarly abandoned children. Somehow she had been dropped off within a human settlement far away from the safety of her kin's forest and was ridiculed for her differences. It was a struggle to temper the feral tendencies that were believed to be the result of adolescent depression and elven feralness, so many thought of her as the troubled, bratty child. Kicked out at eighteen and with no real prospects in sight, the elf allowed her instincts to lead her away from civilization where she eventually came across an druidic sect living in the grassland. They told her that only those connected deeply with nature could have found the haven, thus it meant she was supposed to be there. A series of tests revealed her bloodline, and a ritual took place to free the power within. Zandramas stayed with the druids for many years and enjoyed it greatly, but bit by bit her humanity seeped away as she became more beast like. It was a case of delving into nature too deeply at a young age and not having the willpower to resist and control it. The druids soon worried that Zandramas would shift one day and never be able to shift back so they encouraged her to return to civilization so as to remember herself. The elf, now more beast than anything, traveled to the elven kingdom and managed to locate an aunt of hers, but she had no way to support the woman along with her other children. Still the aunt did not tell her to leave, well not before the Monster Hunter appeared at their door and gave them the ultimatum. Take the coin or the money, which of course to feed the children she took the money and Zandramas did not feel upset about it, in fact she was rather curious about the hunter society and the thrill which came with the answer he gave. "We hunt." Druid Glade: A powerful illusion surrounds the glade that deters the average, non-druid types and beckons to prospective druids. There is a crystal clear pond in the middle with mystical healing powers and is used for scrying among the seers. Within it lives water nymphs and a great amphibian that used to be a man. Animals from all around come to the glade and believing in the balance of nature it is not a sin to hunt them but only for food. It is here that young druids learn to mimic different animals so as to learn their Wild Shapes. At the edges of the glade a darkness seeps, threatening to corrupt the animals and druids, but it is being fought off at the moment. Two Wild Magic Sorcerers team up. A competitions ensues as to who will blow them-selves up first. Last edited by Sarsprilla; 03-23-2019 at 10:50 PM. I didn’t post a lot of information, the characters are young so I don’t want them having too much information at hand, I believe I also left a brief timeline in the players section. I could say that your monastery was most likely founded several hundred years ago by Ludevine’s founder, a Hero from an age before the First Empire. Or at least it would make sense as he was a monk of some skill. Though he was a Human so maybe it doesn’t work with what you had in mind. If you want to use the story to tie your background to history though his name was Vindaloo and he disappeared several hundred years ago. I don't think just because someone was a human that would prevent a good/appealing idea from catching on with another race. But it does make me wonder, since I wanted an east Asian flavor to the monastery, and if the hero emperor was a monk who could have founded said monastery, wouldn't Ludevine's culture also be influenced by that? Maybe to an extent? I'm not against the idea, but I am wondering how that would relate, and how the first emperor's beliefs would have affected the first empire, as it certainly did that monastery, if that was the case. Also, when you said hunter I couldn't help but think of Bloodborne, so there may be BB themes in my character application. The Founder of Ludevine was a monk named Vindaloo, he was a Hero from ages past. One of his companions (Clain) gathered the other countries together to stop a former comrade, he became the leader of the First Empire. After the Empire collapsed several countries like Ludevine reformed, others consolidated or splintered. Ludevine has a distinctly Central European Flavor. Gothic, very Bloodborne or Innistrad for MTG players. But I’m fine with disciples of him creating a monastery with a different theme, the cross-culture elements are unique and interesting. Runetide: Tengu is fine, but you are beyond unique in this country. Your family would have immigrated from down south, and are likely the only Tengu in the country. Last edited by Mrjoegangles; 03-21-2019 at 07:52 AM. If Drow doesn't plan to use the Vindaloo specific monastery idea, would it be alright if I stole it? Appearance: Short and stocky with red hair and brown eyes, his beard has yet to fully grow in. Personality: Vaird is a cheery soul and loves to enjoy life but is very lazy and tends to sleeps most of the morning away. When he's not sleeping he tends to daydream of fantastic adventures, finding long lost treasures and defeating great villians. 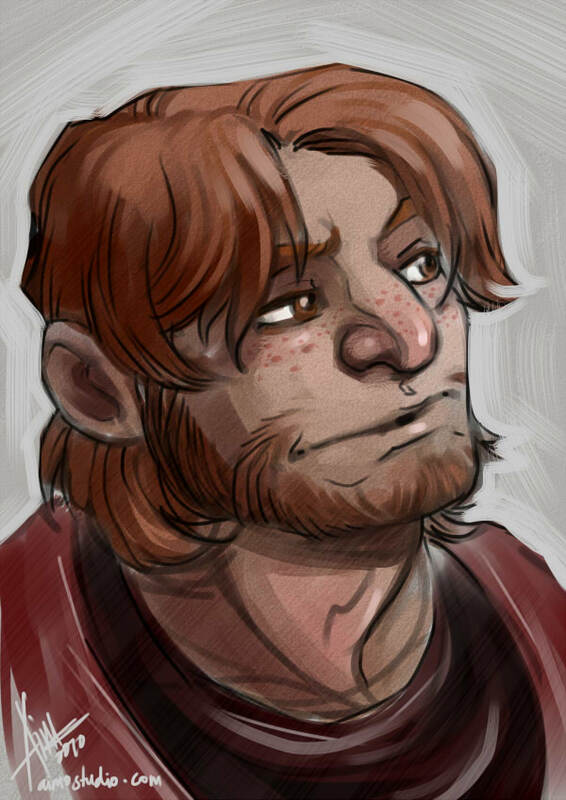 Background: Vaird grew up in the small town of Rock Gate near the mountains, Vaird's father is the towns blacksmith as was his father before him, it was a family tradition that the first born son was expected to continue. 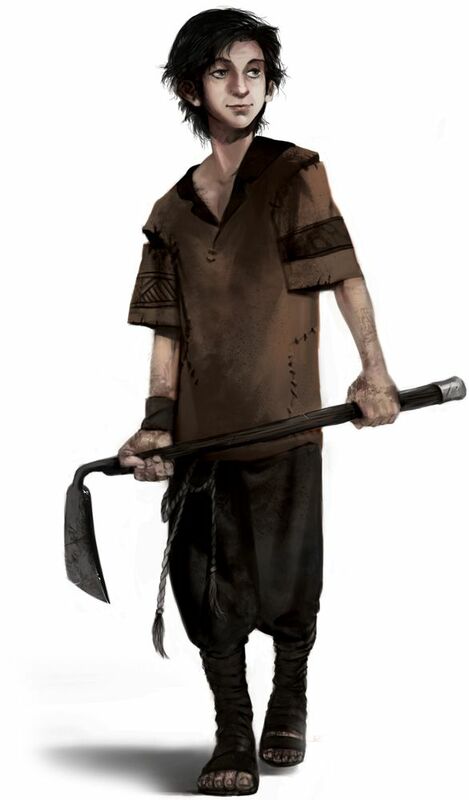 Vaird had no interest in being a blacksmith he wanted to leave his tiny home and see the world, this often caused a great deal of strain between him and his father. His days were often a rude awakening by his father late into the morning followed by a few hours working at the blacksmiths before sneaking out at the first opportunity that presented itself. He would then go to his mothers Inn, the Drunken Goat if a bard was in town and listen to his story's and songs of great heroes and their adventures or would run off to the hills around town and find some adventure or more than often trouble of his own. Last edited by Laz; 03-21-2019 at 11:18 AM. Reviews for those who asked. Last edited by Mrjoegangles; 03-21-2019 at 10:46 AM. Do you want a character sheet before you call our applications complete? If so I'll add one, otherwise I think my application has been ready for review since it was posted. EDIT: Save for the edit I just added to it. Gave him a little more in appearance since I don't know if I'd be able to find a picture for such a specific look. Last edited by wymario; 03-21-2019 at 12:02 PM. Thanks for the answer! I'll figure out how to make him fit in. What's the most common monster type encountered in this area? I'm considering a ranger and would like to pick one that's appropriate to the setting.